There was an explosion of creativity and celebration last fall with AEIVA and the Institute of Human Rights kickoff event at the Alys Stephens Center. There was an explosion of creativity and celebration last fall as we opened the Luis Cruz Azaceta exhibition at the Abroms-Engel Institute for the Visual Arts and welcomed Liberian activist Nobel Peace Prize winner Leymah Gbowee to the Alys Stephens Center for the UAB Institute for Human Rights kickoff event. Thousands of people attended Azaceta’s “War and Other Disasters” and Gbowee’s public lecture on ensuring human rights for all. Though their backgrounds and platforms are different, both artist and activist confront issues of increasing importance in our contemporary society: violence, environmental destruction, dictatorships, refugees, grassroots protest, and fundamental human rights. We are proud to have provided our campus and surrounding communities the opportunity to experience these two influential individuals. Luis Cruz Azaceta is Cuban-born but lives and works in New Orleans. His multimedia work is heavily influenced by his years under the Castro regime. The “War and Other Disasters” exhibit, sponsored by PNC Bank and curated by the late AEIVA director Lisa Tamiris Becker, featured several large-scale paintings as well as sculpture. Nobel Laureate Leymah Gbowee lectured to a big crowd, then spent a few days visiting with thought leaders on campus and across Birmingham. 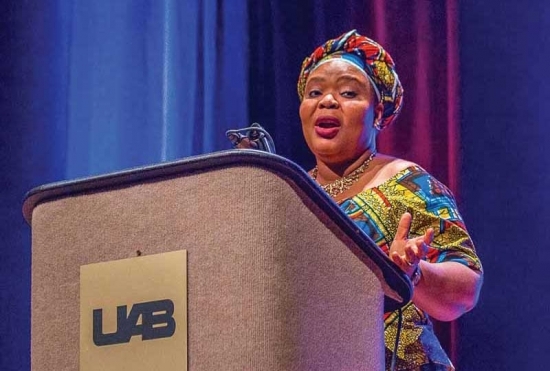 UAB Institute for Human Rights director Dr. Tina Kempin Reuter hosted Gbowee with some of Birmingham’s Civil Rights Foot Soldiers, as well as Birmingham Civil Rights Institute president Andrea Taylor. Homecoming 2016 was another smashing success. For the first time, the College of Arts and Sciences took first place in the Building Decoration competition, helped in large part by the UAB Marching Blazers, the UAB cheerleaders, and a kissing booth with Blaze. The Department of Government won the Door Decoration Competition, and while Team Biology didn’t win the Gurney Derby, they made a strong showing alongside Blaze. Our county fair theme, designed by the Department of Art and Art History, extended to the float, which featured Department of Music faculty in a Dixieland Band and a crew of walkers who carried signs representing every department. Jane Murphy, a student in foreign languages with a concentration in French, has been awarded the Benjamin A. Gilman International Scholarship to study abroad. Jane Murphy has been awarded the Benjamin A. Gilman International Scholarship to study abroad. Murphy is one of 800 American undergraduates from 355 colleges and universities across the United States selected for the scholarship. The Gilman Scholarship is sponsored by the U.S. Department of State’s Bureau of Educational and Cultural Affairs. Gilman scholars are awarded up to $5,000 toward their study abroad or internship program costs. 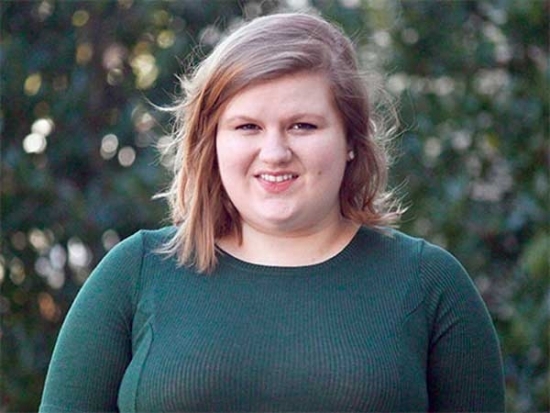 Murphy is pursuing a Bachelor of Arts degree in foreign languages with a concentration in French and is a student in the UAB Honors College on the personalized path. She is also pursuing a Fast Track Master of Public Health degree from the UAB School of Public Health. She will spend the summer studying in Pau, France. Hriday Bhambhvani, a double major in mathematics and neuroscience, was named a finalist for the Gates Cambridge Scholarship, a post-graduate scholarship awarded to undergraduates worldwide and endowed by Bill Gates and his wife Melinda. Typically about 40 winners (of the total 95) come from the United States; winners are able to pursue a master’s degree at the University of Cambridge in the United Kingdom, free of charge. Bhambhvani conducts research in the lab of James Meador-Woodruff, M.D., professor in the School of Medicine’s Department of Psychiatry. The lab’s primary research focuses on understanding how different parts of the brain communicate with other parts via a variety of chemical signals, and how this communication is disrupted in schizophrenia. He was previously selected for the NIH Summer Internship Program and the Amgen Scholars Program, and was named Honorable Mention for the Goldwater Scholarship. 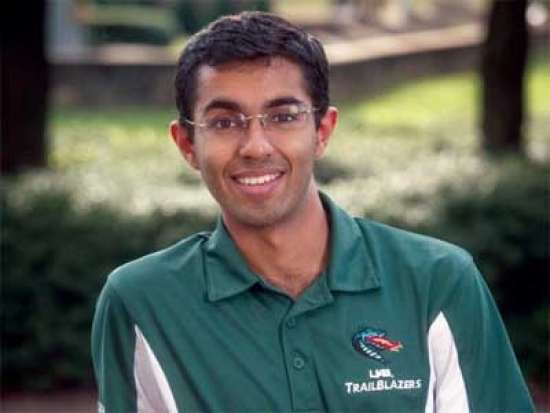 Though he was not selected for the Gates Cambridge Scholarship, Bhambhvani was accepted to study medicine at both Stanford University and UAB. Physics major Lamario Williams received a PhysCon MSI/HBCU Travel Award to attend PhysCon 2016 in San Francisco. Physics major Lamario Williams received a PhysCon MSI/HBCU Travel Award to attend PhysCon 2016 in San Francisco. At the conference, he presented his poster “Statistical Analysis of the Differences Between Fibroblasts and Mesenchymal Stem Cells.” In 2015, he won a Research Award from the UAB Department of Physics. Williams, who is also a biomedical sciences major in the UAB School of Health Professions, was chosen for a Scholarship of Excellence from the Association of Schools of Allied Health Professions, which selects 12 students across the nation who excel in their academic programs and have significant potential to take on take on future leadership roles in health professions. Students, faculty, and alumni from the College of Arts and Sciences make a strong showing at the ADDY Awards. Alumnus Jonathan Niega won a Gold ADDY in the Single Poster category for “I Am the Greatest”Once again the College of Arts and Sciences made a strong showing at the ADDY Awards. Students, faculty and alumni from the Department of Art and Art History, the Department of Music, and UAB Digital Media won Gold and Silver awards at the 59th annual American Advertising Awards. 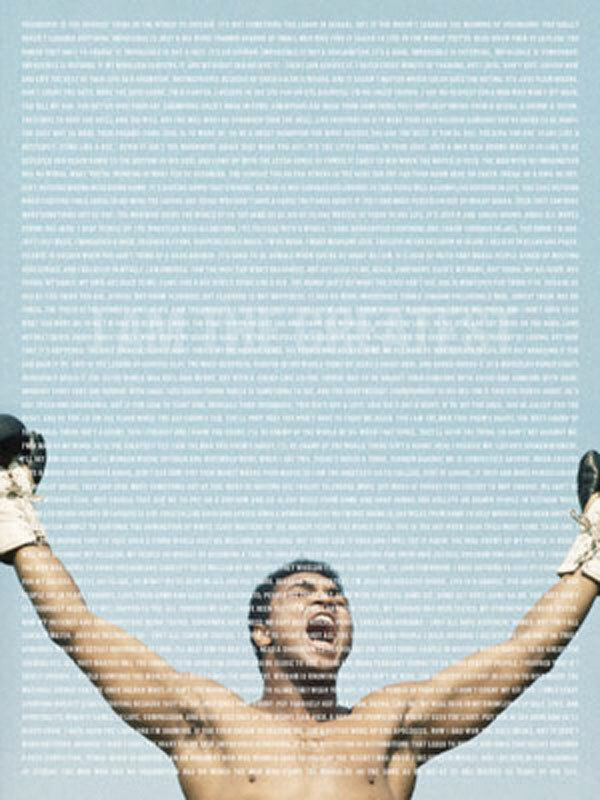 The American Advertising Awards, or ADDY Awards, are presented by the American Advertising Federation of Birmingham and is the advertising industry’s largest and most representative competition, attracting more than 40,000 entries nationally every year in local AAF Club competitions. View a complete list of the winners. Majors in public relations and other communication studies will now have the opportunity to boost their resumes with the addition of the Certificate in Principles of Public Relations. Public Relations Student Society of America (PRSSA) Officers Majors in public relations and other communication studies will now have the opportunity to boost their resumes with the addition of the Certificate in Principles of Public Relations. The entry-level certificate, established by the Universal Accreditation Board in 2014, is designed to demonstrate a fundamental level of knowledge for graduates entering the public relations profession and related fields. UAB is the first university in Alabama and one of 23 in the United States to offer the program. The certificate gives new graduates an advantage in a competitive job market. Students within six months of graduation (before or after) must complete extra coursework and pass a computer-based examination. The exam tests students’ knowledge of communication models and theories, business literacy, ethics and law, program research, planning, implementation, and evaluation. Obtaining the certificate also prepares students to consider pursuing the Accreditation in Public Relations and other opportunities for professional growth throughout the course of their careers. Dr. David Schwebel, professor in the Department of Psychology and associate dean for research in the sciences, receives multiple honors. Dr. David Schwebel, professor in the Department of Psychology and associate dean for research in the sciences, has been named a university professor by the Board of Trustees. According to the guidelines for faculty appointments, the rank of university professor is a campus-wide appointment primarily in a specific discipline and is to bestow on an individual an academic rank that transcends departmental and disciplinary lines. It is also intended to allow each designated individual the greatest latitude in teaching, writing, and scholarly research, and is to give such an individual with broad expertise a UAB-wide platform. In addition, Dr. Schwebel received the Dennis Drotar Distinguished Research Award from the Society of Pediatric Psychology, which is the top research award in the scientific society in which Dr. Schwebel is most active. Dr. Christopher Lawson, professor in the Department of Physics, has been elected board chair of a national nonprofit coalition. 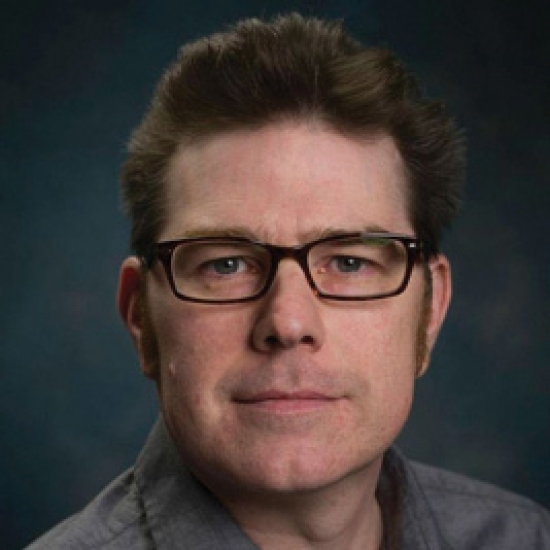 Dr. Christopher Lawson, professor in the Department of Physics, has been elected board chair of a national nonprofit coalition that promotes the importance of vibrant science and technology in states that historically have received smaller amounts of federal R&D funding. Dr. Lawson will lead the Coalition of EPSCoR/IDeA States as it works to improve university research infrastructure and competiveness. As chair, Dr. Lawson will serve as the public face of the 25-state coalition and will be responsible for visits with members of Congress, coordination with federal agencies, and annual retreats and conferences. Since 2010, Lawson has served as executive director of Alabama EPSCoR, which has helped secure research funding from federal agencies totaling $66 million from 2012-2015. Dr. Sarah Parcak, associate professor in the Department of Anthropology, launches GlobalXplorer, a project funded by her $1 million 2016 TED Prize. Dr. Sarah Parcak, associate professor in the Department of Anthropology, launched GlobalXplorer, a project funded by her $1 million 2016 TED Prize. GlobalXplorer is an archaeology platform that asks people around the world to become “citizen scientists” in an effort to discover sites unknown to modern archaeologists. GlobalXplorer offers gamified discovery of archaeological sites previously unknown to most modern archaeologists, and users are rewarded for their valuable time. After signing in and taking a tutorial, users begin examining satellite images. The longer they spend on the site, the more rewards they collect, eventually leveling up to join archaeologists (virtually) for on-the-ground digs. In addition, Dr. Parcak has been named one of Foreign Policy Magazine’s 100 Leading Global Thinkers of 2016, an annual list of the world’s pre-eminent thought leaders and public intellectuals. She was also honored with a 2016 American Ingenuity Award by Smithsonian Magazine. 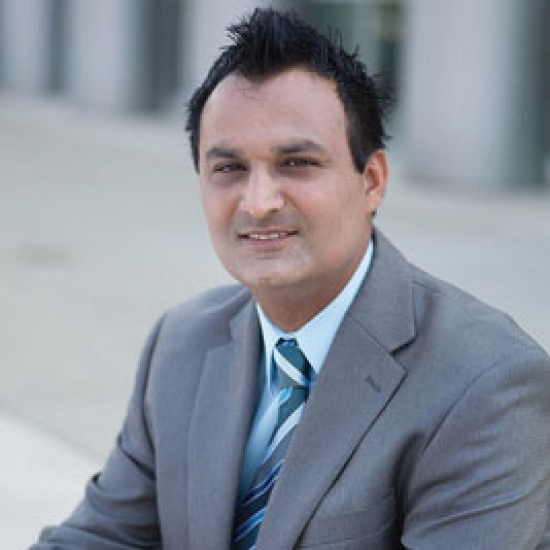 Dr. Shahid Mukhtar, assistant professor in the Department of Biology, has been selected to receive a three-year $800,000 grant for his research from the National Science Foundation. The grant, “Symbiosis, Defense and Self-Recognition Cluster,” is awarded to scientists to support research on how plants, microbes, fungi and viruses recognize each other and identify pathogens. Mukhtar uses techniques from biology and computer science to understand how pathogens disrupt the flow of biological information within a plant cell. Students in Dr. Mukhtar’s lab will gain experience in bioinformatics, a field that develops software to understand biological data. 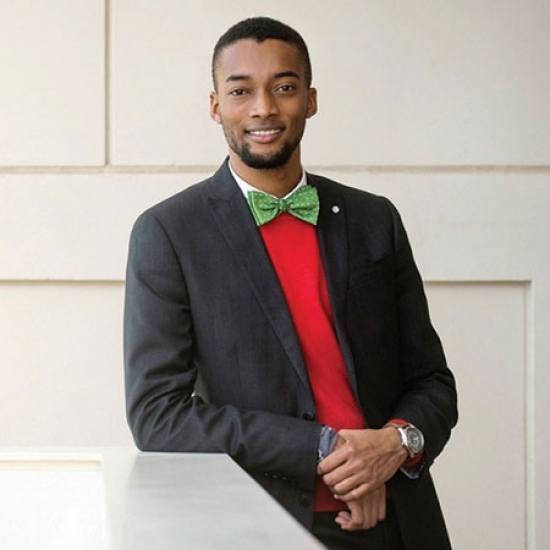 In addition, through his BioTeach class offered through the UAB Center for Community Outreach (CORD), Dr. Mukhtar will introduce innovations in genetics research to K-12 schoolteachers, as well as with students from nearby historically black colleges and universities. Department of Biology faculty members Dr. Charles Amsler, professor, and Dr. Steven Austad, distinguished professor and department chair, have been elected fellows of the American Association of the Advancement of Science. Department of BiologyDr. 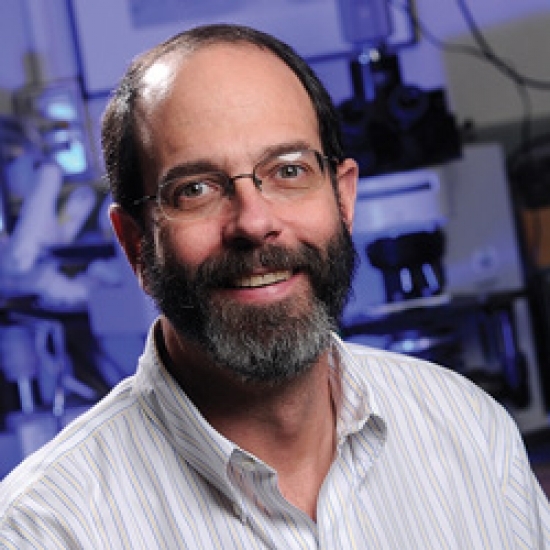 Chuck Amsler faculty members Dr. Charles Amsler, professor, and Dr. Steven Austad, distinguished professor and department chair, were elected fellows of the American Association of the Advancement of Science. They are joined by Dr. David Briles, professor in the School of Medicine’s Department of Microbiology and Department of Pediatrics. Since 1986, UAB has had 13 faculty members selected to this prestigious organization. This is the second time since the program’s inception that three UAB faculty members were chosen as AAAS fellows in a single year. This year, 391 members were awarded fellows by the AAAS because of their scientifically or socially distinguished efforts to advance science or its applications. Dr. Fred Biasini and Dr. Sarah O’Kelley, professors in the Department of Psychology, are part of a new Alabama regional autism network. One of three Alabama Regional Autism Networks (ARAN) has opened at the UAB Civitan-Sparks Clinics to empower persons of all ages and all levels of functioning who have an autism spectrum disorder. It also provides support to their families. 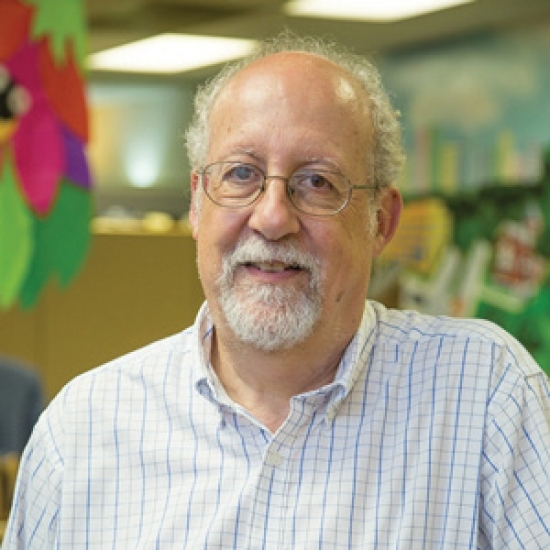 Dr. Fred Biasini, associate professor in the Department of Psychology, directs the UAB Civitan-Sparks Clinics in the UAB Department of Pediatrics in the School of Medicine. The Alabama Regional Autism Network will also connect with Alabama’s University Center of Excellence on Developmental Disabilities, led by Dr. Sarah O’Kelley, assistant professor in the Department of Psychology and chair of the Alabama Autism Providers Network. Dr. Melissa Harris, an assistant professor in the Department of Biology, has received the 2016 PanAmerican Society for Pigment Cell Research (PASPCR) Medrano Award. Dr. Melissa Harris, an assistant professor in the Department of Biology, has received the 2016 PanAmerican Society for Pigment Cell Research (PASPCR) Medrano Award, which includes PASPCR membership for 2017 and a travel award to the 2017 PASPCR Conference. Each year, the award is given to an individual at the early stages of his/her career who embodies the characteristics and love of science exemplified by the late Dr. Estela Medrano. Dr. Medrano was a highly respected scientist who contributed to deciphering the roles of cyclins in senescence, of epigenetic changes in aging, and of Ski in melanoma progression. Dr. Harris studies stem cells and aging and joined the UAB faculty in fall 2016. 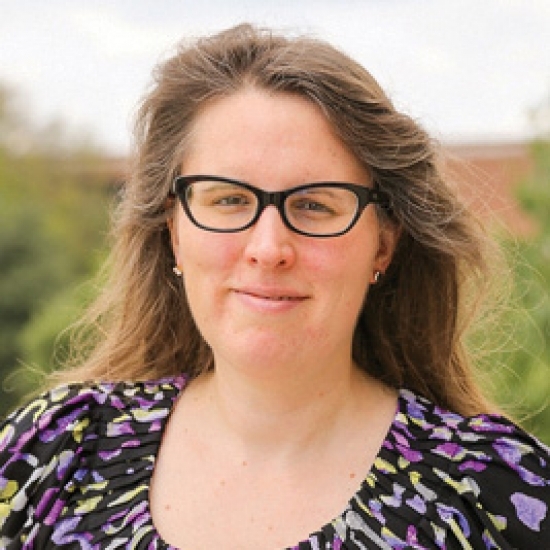 The Institute of General Medical Sciences (NIGMS), part of the National Institutes of Health, has awarded a five-year MIRA R35 grant to Dr. Margaret Johnson, an assistant professor in the Department of Chemistry. Johnson’s lab studies molecules produced during infection by respiratory viruses such as SARS and MERS. The three-dimensional structures of molecules on an atomic scale are investigated to understand essential viral functions, which may provide clues to targeted therapies and vaccine strategies. 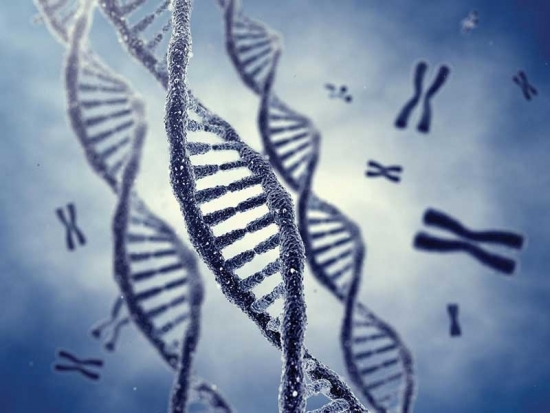 The Maximizing Investigators’ Research Award for New and Early Stage Investigators (MIRA R35) is a grant to provide support for all research in an investigator’s laboratory that falls within the mission of NIGMS. 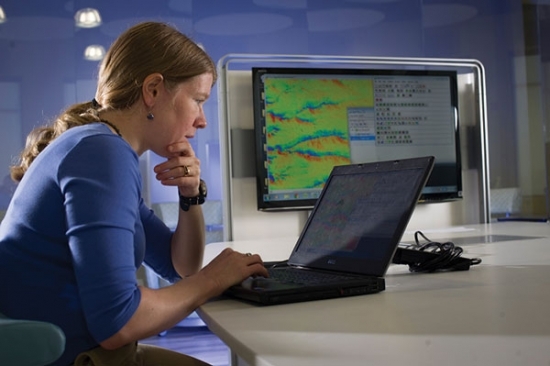 Through this mechanism, investigators have the flexibility to pursue new research directions and explore new questions that may arise during the course of their research. Funding from the MIRA awards is given out over a five-year period to support the research program. After years of collaboration between the Departments of Criminal Justice and Computer Science, The National Science Foundation has awarded a $2.1 million Scholarship for Service grant to address cybersecurity challenges. After years of collaboration between the Departments of Criminal Justice and Computer Science, The National Science Foundation has awarded a $2.1 million Scholarship for Service grant to help prepare a highly qualified workforce to address cybersecurity challenges and threats against the nation’s computer and information systems. 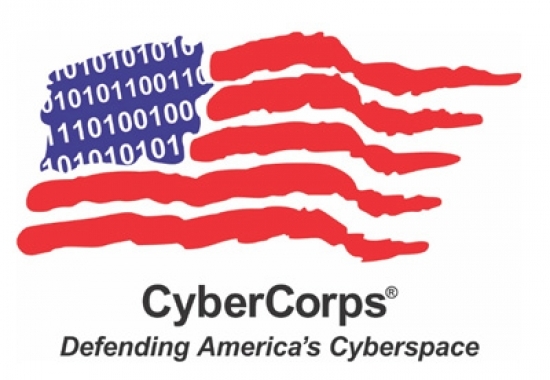 The NSF’s CyberCorps: Scholarship for Service program is an effort to address the growing threat to the nation’s information technology infrastructure. Students applying to or currently pursuing a Master of Science in Computer Forensics and Security Management degree will have the opportunity to apply to program. The scholarships will cover tuition and other expenses and will include a stipend. To learn more, visit the Computer Science department website. Dr. Heith Copes, professor in the Department of Criminal Justice, has been named the 2017 winner of the Ireland Prize for Scholarly Distinction. We are pleased to announce that Dr. Heith Copes, professor in the Department of Criminal Justice, has been named the 2017 winner of the Ireland Prize for Scholarly Distinction. Dr. Copes graduated with his B.S. in Sociology and Psychology from the University of Southwestern Louisiana in 1993, then received his M.A. and Ph.D. in Sociology from the University of Tennessee in 1998 and 2001. 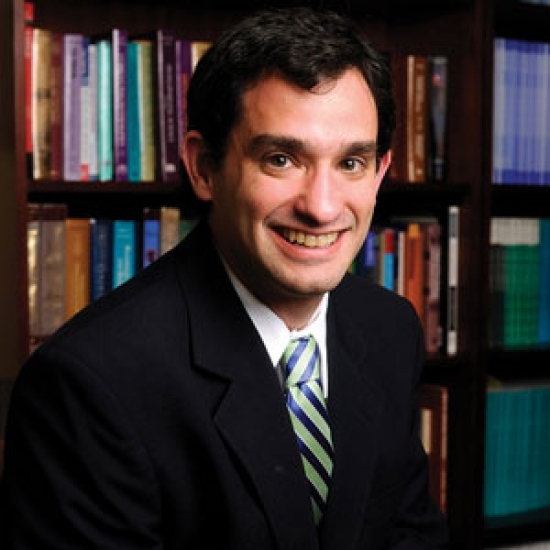 He came to UAB as an assistant professor in 2001, a position he held until his promotion to associate professor in 2006. 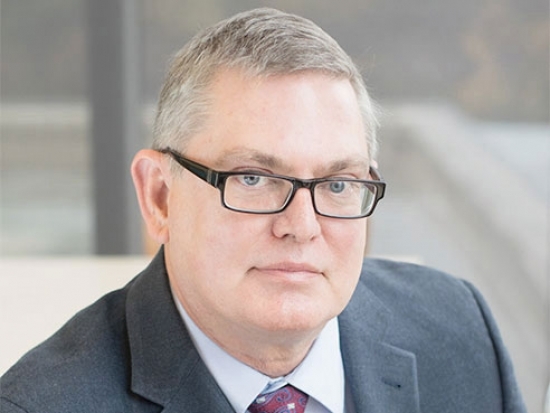 He was named professor in the Department of Criminal Justice in 2014 and has also maintained a secondary appointment in the Department of Sociology since 2006. Dr. Copes’ work focuses on individuals who engage in both crime and drug use. Specifically, his research centers on criminal decision-making and narrative sense-making. He is a leader in the field of narrative criminology, which captures and explores the stories of criminals to understand their motivations for committing their crimes, as well as how they got into crime, their methods of committing the crime, and the strategies they use to reduce their risk. In addition, Dr. Copes’ research examines the ways that offenders excuse and justify their crimes and how they construct social identities. Dr. Copes is also a popular and awarded teacher. While he offers many courses, he most often teaches criminological theory and patterns in crime, which is most closely aligned with his own research. While at UAB, he has been honored with the Graduate Dean’s Award for Excellence in Mentorship, and was twice been recognized with the President’s Award for Excellence in Teaching for the School of Social and Behavioral Sciences. He has also received the Outstanding Educator Award from the Southern Criminal Justice Association. As a visiting professor, Dr. Copes has taught at the University of South Wales in Wales, United Kingdom, at Aalborg University and Aarhus University in Denmark, and at the University of Oslo in Norway. He has presented widely at conferences both across the United States and internationally, and chaired numerous professional associations and organizations, including the American Society of Criminology, the Southern Criminal Justice Association, the Academy of Criminal Justice Sciences Program Committee, and the Center for Identity Management and Information Protections Advisory Board. 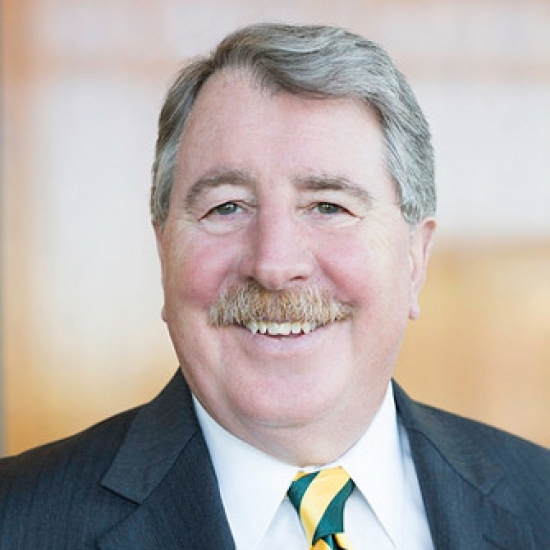 He has also been extremely active on committees and boards here at UAB, including the College of Arts and Sciences Promotion and Tenure Committee, the Institutional Review Board, the Faculty Affairs Committee and the President’s Excellence in Teaching Award Committee. Charles W. Ireland and his wife Caroline P. Ireland established The Caroline P. and Charles W. Ireland Endowment for Scholarly Distinction, which today funds two annual Ireland prizes. The Ireland Distinguished Visiting Scholar Award is given to a distinguished intellectual outside of the UAB academic community whose work is groundbreaking and transformational in his or her field. While on campus, honorees give a public lecture and share their knowledge through informal meetings with students and members of the faculty. Daniel Beaty was the recipient of the 2017 Ireland Distinguished Visiting Scholar Award. Couples Jim Sokol and Lydia Cheney, Lee and Brenda Baumann, and Jane and Jim Ed Mulkin discuss their strong ties to UAB. Jim Sokol and Lydia CheneyJim Sokol and Lydia Cheney’s ties to UAB are so strong—and go back so many years—that it takes them both a few minutes to untangle exactly where the strands start. Sokol and Cheney have been longtime collectors of contemporary and outsider art, and over the years have amassed a jaw-dropping collection of pieces from Jeff Koons, Willie Cole, Enrique Martínez Celaya, Frank Fleming, Chris Clark, Mose T, and many more. “About 15 years ago I decided to audit some art history courses at UAB because at some point I said, ‘We’re buying this stuff and it would help if I knew something about it.’ I had a dangerously small amount of knowledge about art,” Sokol says. “You also took classes with Katherine McIver,” Cheney points out. “That’s right. She taught Italian Renaissance; I audited everything she taught,” Sokol says. “And Jim always went to most of the shows at the Visual Arts Gallery (part of the Department of Art and Art History), that Brett Levine used to curate,” Cheney adds. It’s not unusual for the couple to finish each other’s sentences, or elaborate on a point the other has missed. Together for 26 years and married for 13, they have developed a unique balance of independence and deep connection that allows them to pursue their personal passions (they are often drawn to different artists and projects) while still maintaining an exceptional closeness. They are different, yet complement each other: where Sokol is more reserved and thoughtful, Cheney is outgoing and effervescent. But it’s a combination that clearly works, and is based in their love for one another and their shared passion for art—and UAB. The Sokol-Cheney home includes pieces by Amy Pleasant (black-and-white portrait, top left), Odili Donald Odita (brightly colored geometrics, below left), Jeff Koons (puppy vase on cabinet), Radcliffe Bailey (door with axe, top), and June Wayne (yellow prints). Cheney’s connection to the institution goes back to 1991, when she worked in the UAB Center for Aging, a position she held for six years. From there she moved to the UAB Comprehensive Cancer Center, where she worked for another six years. It was her connections in the medical school and health system that led the couple to assist with a new art project at UAB—ArtBlink, the Cancer Center’s biggest fundraising event. “I guess we helped them find the first artists for ArtBlink,” Cheney says, looking at Sokol. “We identified several,” he confirms, listing Amy Pleasant and Karen Graffeo before Cheney jumps in to add Lonnie Holley and Darius Hill’s names to the list. The threads of connections between the couple and UAB continued to be tightly woven. When senior administrators began to develop a concept for a UAB art institute, Sokol and Cheney were early supporters. Cheney says. “[Former School of Arts and Humanities Dean] Bert Brower deserves great credit for what became the Abroms-Engel Institute for the Visual Arts,” Cheney says. “He cultivated the relationships, particularly with Marvin and Ruth Engel, that helped get the project off the ground. Hal and Judy Abroms were also a key component for the Institute." “And [President] Ann Reynolds was also interested in art,” Sokol adds. Since then, the Sokol-Cheney home has become something of a nexus for artists and faculty members in the Department of Art and Art History, as well as for AEIVA staff. 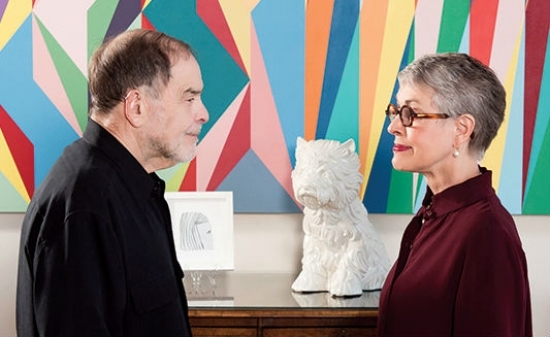 And the couple’s vast connections in the contemporary art world have inspired some of AEIVA’s landmark exhibitions, which have often included pieces from the couple’s personal collection. “We couldn’t imagine life without UAB,” Sokol says. Though the roots of the Baumanns’ altruism were established in medical school at the University of Southern Illinois, their generosity flourished after they moved to Birmingham. The couple was living in Pennsylvania, where Lee, who had a background in internal medicine and geriatrics, was working in administrative medicine. When he had the opportunity to take a position with Complete Health in Birmingham in 1992, he and Brenda relocated. Lee left administrative medicine in 1998 and turned to writing, inspired by his own spiritual journey and his longstanding curiosity about the intersection of faith and science. His first book, “God at the Speed of Light,” argues that science and spirituality are two sides of the same coin. And its title is the name the Baumanns have given to their scholarships, which they’ve established at UAB, Auburn University, the University of Alabama, Mississippi State University, Southern Mississippi University, and the University of Mississippi. They’ve also endowed scholarships at Southern Illinois University and in Cape Town, South Africa. Although Lee says he was the catalyst for starting the scholarships, he says Brenda is fully supportive of their giving. “In my years as a physician, I’ve seen a lot of people have trouble paying for their medicine, much less tuition,” she says. “And we both know that the future of the world is based in education,” Lee says. The couple says that they will continue to fund their scholarships in the coming years to ensure that the amount of money awarded to students can meet the costs of their education. The proceeds from Lee’s book will go toward these funds. As for UAB, the Baumanns say that now that they’ve spent time on other campuses, they know UAB has something special. Jane and Jim Ed Mulkin with scholarship recipient Kevin Lee.There are people who let life happen to them, and then there are the people who tackle it head-on. Without a doubt, Jane and Jim Ed Mulkin are in the latter group. Curious, passionate, entrepreneurial and hardworking, this couple, married for almost 62 years, see each day as an opportunity to learn. Within minutes of arriving at the Mulkins’ 100-acre farm in Tuscaloosa County, guests are greeted with hugs, big smiles, and lots of questions: Where are you from? Where did your parents grow up? Are you kin to the so-and-sos? How long have you had your job? What did you do before that? And on and on…the questions keep coming as the couple explores who you are and what you think. They are excited to show you around the house and surrounding land, but they are just as excited to learn something new. They are joyful, positive, and well ... happy. Jim Ed takes us on a tour of their land in a six-seat golf cart, with Jane riding in the rear-facing back seat. As we circle the property, Jane calls out the names of native plants while Jim Ed narrates how he, his children and grandchildren built structures and memories along the banks of Rockcastle Creek. Every turn brings a new tale: the funny “Mulkin Falls” sign his granddaughters made next to the slightest spill of water, the swinging bridge the couple deftly traverses, the two ancient beech trees, and the time Jane decided to don a wetsuit and walk in the water until she couldn’t climb out. They are collectors of memories and stories. But they are also collectors of folk and outsider art, primitive furniture, Alabama pottery, textiles, old tools and even fire-fighting equipment. The farmhouse and outbuilding are filled with these items, but the Mulkins assure us that there is much more in their Bessemer home. Jim Ed was born and raised in Bessemer and was a football star at Sewanee before joining the Air Force and receiving a deployment to Okinawa during the Korean War. While he was in college he’d noticed Jane, who lived in in the nearby mining community of Woodward, Alabama, and resolved to marry her when he returned from the war. He did just that, and rather than become a college football coach at Johns Hopkins—his original plan—he took the munitions pay he had collected during the war and bought a junkyard in Bessemer. He converted that junkyard into an auto parts store called Mulkin Auto and eventually opened seven locations across the Birmingham metro area before retiring. Jane, who was young when she married Jim Ed, stayed home to raise their three sons. A moment in the writing lab further changed Jane’s worldview. Jane also gave her extensive collection of antique clothing to the Department of Theatre in 2015. Tucked into Sterne Library is one of UAB’s best kept—and most powerful—secrets: the University Writing Center. By Kathleen Kryger, Shelby Morris, and Nick Reich. Photos by Nik Layman and Shannon Robinson. Staffed by Department of English faculty, including director Dr. Jaclyn Wells, and a slew of professional writing majors, the Writing Center last year offered more than 5,000 tutoring sessions to more than 1,700 students from across the entire campus, including those from the graduate and professional schools. From understanding an assignment for a freshman paper to tweaking a dissertation, the team at the Writing Center offers a vast array of support to all UAB students, ensuring their academic success along the way. We asked three staff members: Kathleen Kryger, Shelby Morris and Nick Reich to talk about their work and what it’s like to provide so much support to so many students. What follows is their conversation. Nick: I guess the best way to start a conversation about the University Writing Center would be to talk about what we do as tutors. What kinds of roles do you think we play? Kathleen: I see my role as constantly changing—some days I feel like a coach helping students discover their individual writing processes or gather their ideas, while other days I feel like a translator enabling students to better understand their assignments. 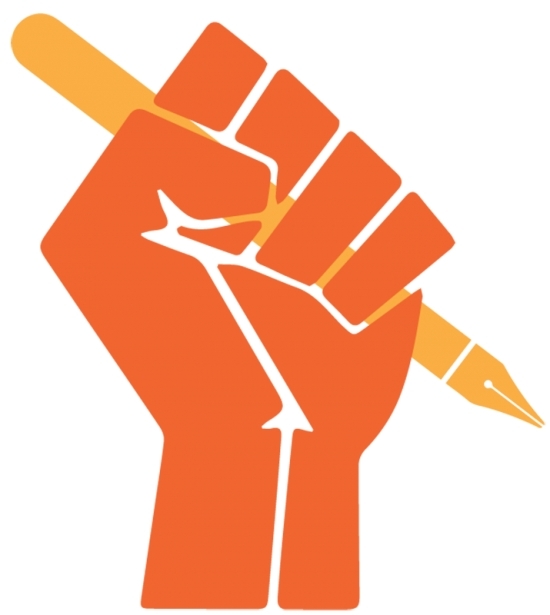 Either way, I try to make the student’s concerns my top priority—my responsibility is to help the students become better writers and self-editors, not necessarily to perfect one piece of writing. Students are often most anxious about their grammar, which is definitely an area where we can support growth, but that’s not all we do. So many students come in for brainstorming and outlining sessions! But being mindful of, and attentive to, students’ expressed goals is what I believe to be the most important part of my role. Nick: Yeah, while there are definitely times I have to play the grammarian, obsessing over sentence structure and living up to all those notorious English major stereotypes, I prefer to act as more of a facilitator with students. Sometimes students really just need help steering all their knowledge, language skills, and ideas in the right direction. Sometimes, this includes understanding the expectations of specific kinds of writing assignments. I once met with a non-traditionally aged, English-as-a-second-language (ESL) student who wrote beautifully in English. He was working on a literacy narrative for a composition course, constructing this vivid poetic landscape with colorful, fascinating language. Unfortunately, the essay was not really working within the boundaries of the assignment. It became my job, then, to help him figure out how to address the prompt more directly – something he said was not a common approach in his native language – without losing his unique writing voice. That is the type of role I value most. We met several times more and he produced a really great essay. Shelby: I totally agree that while we can certainly help students with the details like helping them to proofread or fix citations, we also spend a lot of time on the bigger picture stuff, like helping students make sure they are fulfilling the requirements of their assignments. I would add too that some of the most important and common feedback students need is being told that they are a good writer. A lot of people come in with no idea of how to start or what their assignment is asking of them. Many of my sessions consist of brainstorming paper ideas or directions to take papers in. I know I’ve done my job when a student leaves the center knowing what the assignment is asking of them and with a clear idea in their mind of what they want to write about. Also, we’re not here just to help them with a particular class, but to empower students with the ability to communicate through words. Writing reaches across all disciplines so it’s imperative that they hone these skills to be successful in their area or field. Kathleen: Writing is definitely a transferable skill. Nick, you just mentioned a non-traditional student. 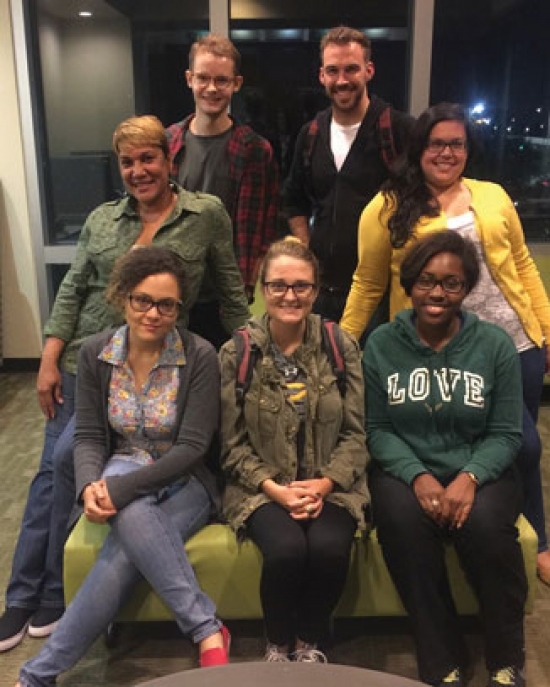 Can you talk about the kinds of diverse students we typically assist at the University Writing Center? Nick: It may sound like we’re throwing a wide net, but we are here to help any UAB student at any level in any field. Yes, we work with a great number of freshmen. We help them transition from high-school writing to college-level writing. But I have also had shifts of just a couple of hours when I have met with a junior or senior chemistry major working on lab reports, a graduate-level nursing student writing out practice clinicals, and a PhD candidate editing a dissertation in mechanical engineering. Many people don’t realize there is actually a strong emphasis on writing in the sciences, and what we know at the UWC is that writing can be challenging for everyone—not just students who are only beginning their academic careers. Whether you’re a doctoral student or first-year undergrad just getting started, turning profound ideas into coherent, approachable writing is easier said than done. We may not always understand the advanced discipline-specific concepts some students are working on, but we can always help sentence-to-sentence and paragraph-to-paragraph. How about you, Kathleen, have you worked with a lot of upper-level students? Kathleen: I have! It’s always a pleasure. The graduate students who see us at the UWC are especially goal-oriented. I have worked with graduate students on papers for their coursework, but I have also helped with several scholarship, admissions, and conference applications. If these students want to work through multiple drafts of a high-stakes document like a personal statement, it can sometimes take three or four sessions. Graduate students often have a lot at stake—their personal goals are inextricably tied to their writing goals. When writers are deeply invested in their writing, paying attention to their expressed concerns is vital, but so is keeping an eye on other potential issues. Many of the graduate students I’ve worked with are also second-language writers. I love working with second-language writers because they have such rich global experiences and because they remind me that during every session, I can learn as much from students as they learn from me. Shelby: I definitely think it’s best when a student can continue to work with the same tutor over the course of an assignment or project. It’s like having a conversation that can be picked up right where it left off. Do you two have a lot of regulars? Kathleen: I do! And I agree—when we have “regulars,” it’s often easier to provide indications of their progress, which encourages the students so much. The fact is that students who visit the UWC multiple times a semester or even throughout their time at UAB often see that reflecting positively in their growth as writers. We also develop bonds with them that allow us to help them more effectively and efficiently. I see a lot of the same students, and they usually come for reassurance about specific assignment requirements. My goal is for them to leave our sessions feeling confident in their ability to, at the very least, complete their current writing task. I feel like it is important for students to visit often because regular one-on-one sessions are really productive learning environments; as tutors, we can personalize our sessions to focus on each student’s unique literacy needs. Don’t you guys think that’s the case? Nick: I think so. I feel it’s especially important for students who still learning the language. UAB has a strong ESL population. Our campus is one of the most diverse in this area of the world. The writing center has become a rock for many of these students. They know we will always be there to help with writing problems big and small. I feel the best thing to do when meeting with a student whose first language isn’t English is to keep an open mind – their native language may work quite differently – and encourage return visits. American academic English is not a lingua franca. It’s difficult enough for native English speakers to navigate scholarly genres and especially so for someone who is still learning the language. This is why we go through training and hire specialists – so we can be there to help UAB’s considerably diverse population. Shelby, you’re part of our online tutoring team. I guess the whole point of that system is to cater to UAB students on a national scale – if that’s not too much to say? Shelby: No, I don’t think that’s too much to say. UAB has many distance programs and online courses, and enrolled students are located all over the country. Online tutoring and E-tutoring allow us to help students who otherwise wouldn’t be able to make an appointment in our physical center in Sterne Library. With online tutoring, I can chat with students in real time, which can be helpful for understanding what they are trying to say; this type of session mimics the conversational nature of our in-person sessions. In E-tutoring, students simply upload a paper for me to comment on, which is another great option that allows me to leave clear and detailed feedback. Plus, because students can download the feedback I write at their convenience, E-tutoring is really convenient for our distance students who work fulltime in addition to going to school. In both kinds of distance tutoring sessions, I can link the student to other online resources, like the research and citation guides from UAB Libraries. I find that’s a really great way of not only helping them with their writing, but also reminding them of all the great resources UAB has to offer. I really love tutoring online because I get to see a range of students from every department, just like during our face-to-face sessions in Sterne; we get English, engineering, and a huge portion of nursing students. And just like with face-to-face sessions, we can help students from the brainstorming stage to the final edits during distance appointments. Kathleen: Online and E-tutoring offer great opportunities for distance students to have someone else look at (and discuss) their work. I wonder how many students know about our online options—we do lots of classroom visits here on campus, but we can’t exactly do that for online courses. Shelby, how do you think we could spread the word? Shelby: Since we can help with writing from any course, professors from all over campus can recommend our services to their students. Everyone needs feedback on their writing, and nearly every paper will improve with the kind of helpful feedback we provide. I can’t tell you how many students come in surprised that we’ll assist with an engineering essay or a personal statement. While we post signs around campus about us, and we did just get added to the UAB app, it’s during our class visits that we can address concerns students or teachers have regarding our services. The best way to get the word out that we’re here to help with any type of writing assignment is through faculty members. When faculty tell students about us and our services, I think it really helps encourage students to come in for help with their writing. Kathleen: UAB faculty are instrumental in helping students reach out to us. Nick, since you started teaching in the fall, quite a few of your students have visited the writing center. You must be mentioning the UWC in your classroom all the time. Have you noticed a big difference in the writing of students who use our services? Nick: Yes, I certainly do talk us up, endlessly. And the difference I see in the writing is extremely validating. Repetitive errors decrease and the students’ writing styles become cleaner and more precise. They address writing assignments more clearly and elaborate on their ideas with more detail and confidence. I’ve never had a student tell me visiting the writing center was not worth it. In fact, a majority of the students who go tell me their visits helped them conquer the anxiety they feel toward writing. Proficiency leads to confidence. We’re here to help students become proficient and confident writers, and we love what we do. Face-to-face tutoring: In a session of 30 or 60 minutes, a tutor will sit down with a student and assist at any stage of the writing process. Distance tutoring: Online and distance students can chat with a tutor in real time or upload a paper for feedback. Classroom visits: In 15-minute presentations, tutors introduce the UWC’s services. We generally visit classes, but we are also happy to present during program orientations and other events. Ask-a-tutor: This email service is perfect for quick questions. Students can expect a response with 24 business hours. To schedule a face-to-face or distance tutoring appointment, students log onto our online scheduling system with their Blazer ID and password. To schedule a classroom visit, faculty can email our director with the time, location, and preferred day(s) for a visit. 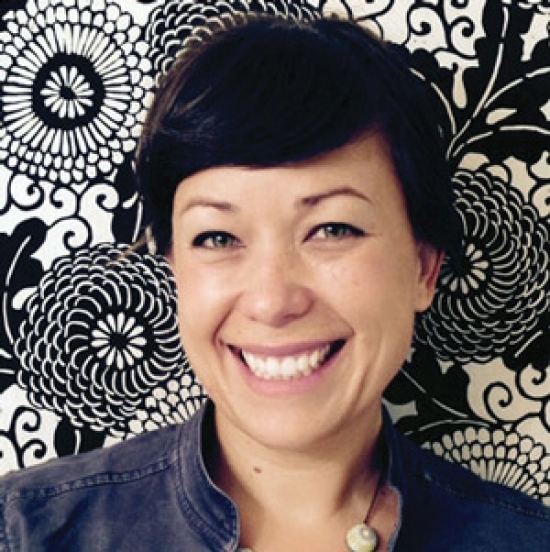 The UWC is directed by Dr. Jaclyn Wells, an assistant professor in the English Department. Tutors are graduate students and adjunct instructors from English. Beginning in fall 2017, we will also have a small group of undergraduate tutors. All tutors receive training in working one-on-one with students on all kinds of writing, and several specialists have additional training in areas like teaching second-language writers and tutoring online. The UWC is also staffed by three undergraduate work-study students who welcome students with a friendly face. Where can you find and contact us? Assisted students during 3,055 total tutoring hours. Worked with 1,701 unique clients. Helped students from all majors and colleges at UAB. Offered numerous workshops, with 235 attending students. Received “highly satisfied” or “satisfied” from 98% of students who were asked to rate their consultation experience. This year’s numbers suggest that UWC usage will only continue to grow. The fall 2016 semester, for example, saw an 18% increase in tutoring sessions from fall 2015, as well as a 24% increase in the number of freshman clients.